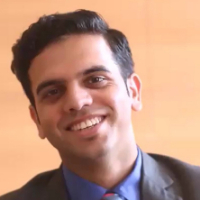 Nikhil Bhatia did his Hotel Management from GIHM, Dehradun and his MBA from DIMS, Deharadun. After completing his education he started working with domino's as the associate manager. Then he worked with KFC and Big Bazar as shift manager and department manager respectively. Since 2015 he has been working as a Senior Executive in Pacific Mall. Mall operations is defined as an overall operation and maintenance of the entire building infrastructure, including the services and utilities, ensuring that they are used in a way that are consistent with the purpose for which it was acquired. "After doing my MBA from DIMS, Dehradun, I started working with Domino's as the associate manager. Then I worked with KFC and Big Bazar as shift manager and department manager respectively. Since 2015 I have been working as a Senior Executive in Pacific Mall."